Facebook is a rapidly growing video hosting platform, sneaking up on both YouTube and Vimeo. Its 1.7 billion (and climbing) monthly active user audience proves it. If you’re not already taking a closer look at using the social media giant to expand your brand, you should be. With that in mind, here are some helpful ways to optimize your Facebook video posts and increase your views, likes, and shares. Facebook is lenient in its video formatting requirements. Still, if you want to maximize image quality and playback, you’ll want to produce your videos using the optimal codec, format, and frame rate. For a comprehensive list of Facebook’s video exporting guidelines, visit their Brand Awareness page. You know how when you scroll through your Facebook feed, certain videos begin to play automatically? That’s done to increase engagement. Users are more drawn to moving images than to static ones. However, when those videos begin to play, you hear no sound until you click on them. It helps to use onscreen text at the beginning of your video so viewers will be exposed to any vital messages, whether they click on the video or not. 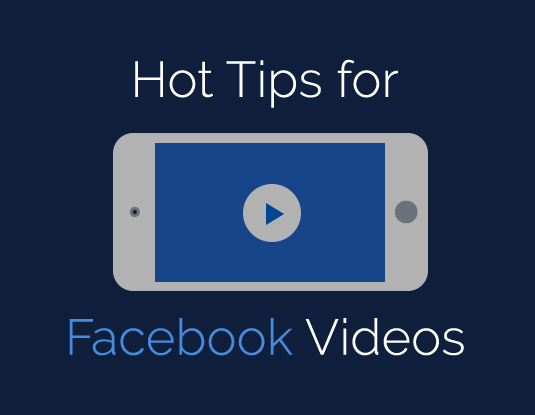 Facebook videos are accompanied by a written post. It helps to sum up in a sentence or two what you’re posting, why you’re posting it, and what viewers will learn. Including a clear title, tags, and keywords makes your videos searchable and helps viewers find them. Also, when writing your post, you can create links to other pages, people, or groups simply by typing the @ symbol followed by the name of those pages, people, or groups. This takes a little more time, but it’s a terrific way to get your video in front of more viewers. Search for groups that might be of interest to your target audience, join them, then share your videos on their pages. It’s perfectly acceptable to share your own content, as long as you don’t overwhelm them with it. There’s an even simpler way to increase viewership—pay for it. Facebook’s Ad Boost makes it incredibly easy to do just that. You can start small with the minimum dollar-a-day buy, then increase your budget once you see how well Ad Boosts works for you. Use these tips, and your videos are almost certain to reach more potential customers. Based on Facebook Hack: How to Optimize Your Video Posts by Jourdan Aldredge.